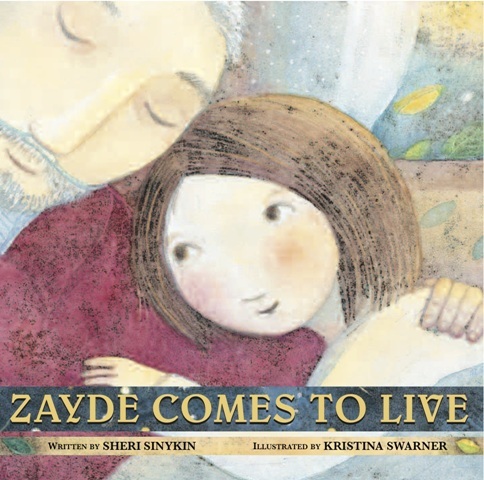 I recently interviewed Sheri Sinykin, author of Zayde Comes to Live. SGL: You will be accepting the Elizabeth Burr/Worzalla Award from the Wisconsin Library Association on October 23. This award is given to writers of the most distinguished children’s book of a given year who have a connection to Wisconsin. Presently, you divide your time between Arizona and Massachusetts. What is your connection to Wisconsin? Sheri went on to explain that after graduating with a journalism degree from Stanford University, she came to Madison by way of Rockford, IL, and her first newspaper job. Later, she moved to Madison and worked part-time at WKOW, ultimately living in Wisconsin for more than thirty years. But the real life changer was the position of public relations coordinator with Madison General Hospital (now Meriter). She was interviewing a long-time volunteer, a lady named Ida Stein. SS: I asked her if she attended a temple or church. When I mentioned “temple,” she just lit up. We got to talking about being Jewish and she looked at my left hand to see whether I was engaged or married, asking whether I would like to meet her nephew, Daniel. SGL: So you had a matchmaker! SS: (Laughing) Yes, although my husband still doesn’t believe my version of the story, since his aunt had never done that before! SGL: Do you have a speech prepared for the awards ceremony in Green Bay and are you nervous? SS: Yes, and yes. I’m more comfortable presenting my Power Point programs, because I can speak more extemporaneously, from my heart but also from my knowledge of the subject. A speech is different. I get nervous when I want to say specific things in a specific amount of time. I’m afraid I’ll forget something important or run over the allotted time. SGL: How did you get started as a writer? SS: I always wanted to write for children, from the time I learned to read. When I had my own children and read picture books to them, I assumed that I would write picture books. But I never found success there, until now. 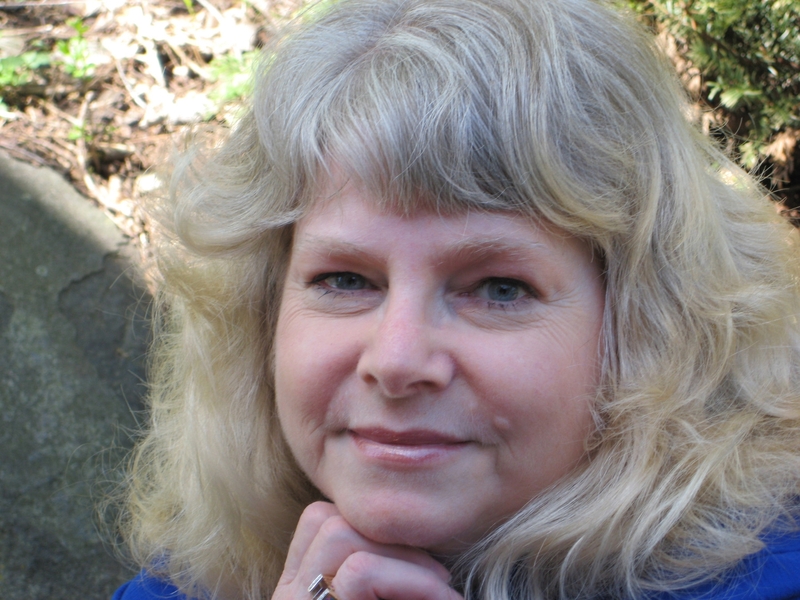 SGL: When did you publish your first novel? SS: My first book–a boys’ gymnastics novel called Shrimpboat and Gym Bags— was published in 1990. But I had previously published short stories in children’s magazines. One of my stories in Humpty Dumpty about unwanted touching was published long before people were really discussing the issue. SGL: Looking over your website, it’s clear you’ve been successful. You have published 19 books for children. Zayde Comes to Live is your first picture book. What made you decide to write a picture book, especially about such a serious subject as death and the afterlife? SS: My mom was diagnosed with Stage 4B endometrial cancer in 1997 and given two years to live. I was terrified, and became a hospice volunteer in Madison in the hope of quelling my fears about death in general. I also hoped the hospice experience would enable me to be with my mother at the end of her life, which came a miraculous eight-and-a-half years later. At that time, I was feeling blocked as a writer and entered Vermont College’s graduate program, receiving my MFA in Writing for Children in 2003. While there, I realized that all my previous books had been inspired by my sons’ experiences rather than by my own. I had not written from my own fears, from my own emotional core. Giving up the Ghost, the middle-school novel that evolved from that program, addressed the fear of my mother’s eventual death head on. SGL: So Giving up the Ghost was different from your previous novels. Where did the idea for Zayde come from? SS: The character of Zayde was inspired by one of my hospice patients. But the theme was suggested by a hospice rabbi’s comments at a brunch I attended. He shared his experience that Jewish patients seem to be more fearful and less accepting of death than other patients. In his view, this is because Jewish tradition focuses on the Here-and-Now not on the Hereafter. I realized there was a little girl in me who wanted to know where Mom was going to go, and I went in search of answers. SGL: In Zayde, Rachel has a friend who tells her that her grandpa will go to Heaven if he believes in Jesus. Another tells her he will go to Paradise if he believes in Allah. You’ve said that Zayde should be shared with a child by a caring adult rather than by you, the author. Can you explain how you would like to see Zayde used? SS: Only an adult who knows and loves a particular child can determine when that child is ready for the difficult conversation about death. I have an example from my own life. One of my sons asked me if I wanted to read Zayde right after it was published to his two boys, then ages three and five. I didn’t think the time was right—they had two healthy grandfathers and my instinct was not to introduce doubts about their health. Two weeks later, I got a phone call: “Mom, we need you and we need your book.” The boys’ step-grandfather had died unexpectedly in his sleep. I sat down with the boys and we talked about Papa Ron. I read them my book. They had questions about the “inside” and “outside” of a person–concepts introduced in Zayde Comes to Live. They had other questions, including the Big One: “Are you going to die, Nana?” I answered honestly but reassuringly. Months later they were overheard talking to each other in the bathtub. One of them said, “It’s going to be so sad when Mommy and Daddy die someday.” “I know,” his brother replied, “It really is…but we will have each other, and by then, we will have our own families, too.” I strongly believe that how you respond to these kinds of questions can set a child on a path of understanding and acceptance of the circle of life, or a path of fear. Zayde also talks about religion, which is another reason why it might be better for a caring adult rather than a stranger to read this particular book to a child. When you know and love a child, you are in a much better position to assess their emotional readiness, as well as their developmental stage, for this potential minefield of a discussion. SGL: Zayde has received excellent reviews as well as several awards, including a Sydney Taylor Honor, awarded by the Association of Jewish Libraries. It’s every author’s dream to win awards and get rave reviews. How has that felt to you? SS: Since Zayde is my only book to have received such positive attention, the whole experience feels incredible, hard to believe. I felt especially honored by the Sydney Taylor award because part of my intention was for Jewish children to have a resource that might help them heal grief and carry healthy attitudes about death into adulthood. The Wisconsin Library Association award validates Zayde for a more universal audience, hopefully helping other children realize that their friends may believe different things about an afterlife, and that’s okay. SGL: You will be presenting your Power Point, “Good Grief: How to Talk to a Child about Death” at Temple Beth El in Madison on Sunday, October 27. What resources did you turn to for creating this presentation? SS: My critical thesis focused on making literature about death and bereavement authentic for child readers. Giving up the Ghost was informed by that research. Later, when I was going through my own grief therapy, I drew from those more personal experiences as well. A variety of grief and recovery resources and handouts for adults and children are listed and may be downloaded from my website. SGL: One final question. What is your next writing project? SS: Strangely, I haven’t been moved to write since my parents died and my five grandsons were born. I’m trying my hand at watercolor painting, a real departure for me. I guess for now, I would rather spend my time with real children than with fictional ones. For more information on the Wisconsin Library Association’s annual conference held in Green Bay October 23-25, go to: http://wla.wisconsinlibraries.org/events-conferences/annual-conference/wla-conference-home Sinykin will be accepting her award on Wednesday, October 23. On Sunday, October 27, at 11:00 AM, Sinykin will be presenting her Power Point program, “Good Grief: How to Talk to a Child About Death” at Temple Beth El, 2702 Arbor Dr., Madison. The event is open to the public, but there is an $18 non-member fee for the brunch.